Carol achieved the “century mark”, living to see age 100! She was born September 7, 1917 to Charles and Maude Liljenquist, in Hyrum, Utah where she was raised. Attended South Cache High School and USU. Married her high school beau, Frank Hammond, in the Logan Temple. Lived most of her life in Ogden where they raised their family. Owned and operated Carol’s Dance Studio for over 30 years and also owned and operated Top Drawer Designs. She loved buying, decorating and re-selling homes sometimes without Frank’s knowledge while he was away fishing. She enjoyed going to the San Francisco Furniture Market with her daughter, granddaughters and daughters-in-law or anyone who wanted to join the party. She was a dedicated member of the LDS Church, where she held many callings including Ward Dance director and Ward Road Show director. She was sympathetic to everyone’s problems, especially the down trodden; your pain was her pain. The humorous stories about her are legendary. She loved telling her stories and laughing at herself. Her cooking was also legendary as most of her meals were either burnt or scorched. She loved her grandkids unconditionally. She spent countless hours worrying and counseling them. Later in life, she and Frank moved to Salt Lake and resided at Zions Summit. 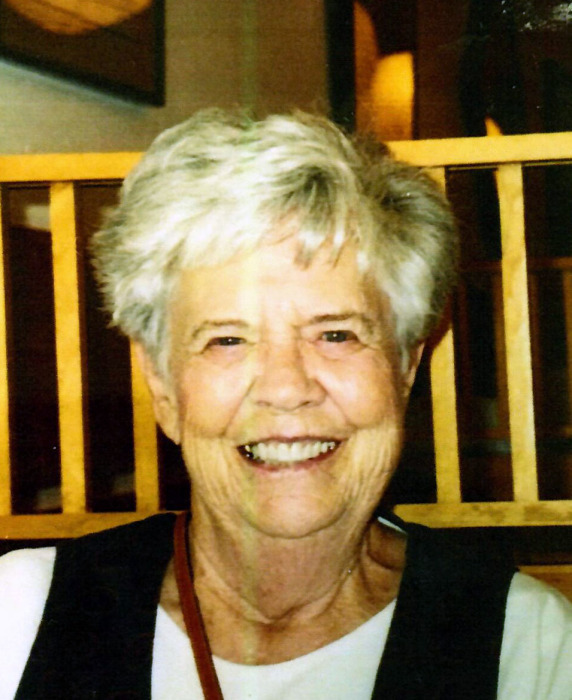 We wish to thank her dear friends at Zions Summit for watching over and caring for her during the last 21 years while she lived alone until she passed. The family would like to express our appreciation to her eye doctor, Mano Shwartz, for his loving, compassionate care. We would also like to thank all the aids that assisted her from Hartwood Home Care. She is survived by her daughter, Judie Sessions (Clark); sons, Ric (Claudia), Charlie (Barbara); 12 grandchildren, 38 great-grandchildren, 6 great-great grandchildren; a sister Charlene Kinney. She was preceded in death by her husband Frank, siblings Coy Tyson (Ross), Iris Nielsen, her brother Gorman Liljenquist (Cate), and grandson Jackson Hammond. Graveside Services will be held at 11:00 a.m. Saturday, August 11, 2018 at Kaysville City Cemetery. Services entrusted to Lindquist's Layton Mortuary, 1867 No. Fairfield Road.